I still had that pile of mulch left over from last fall when Nancy’s youth group came over to have a frolic and tend my garden. As it turned out it poured all day and so we still got together for our big dinner and to play board games but we didn’t touch the mulch. 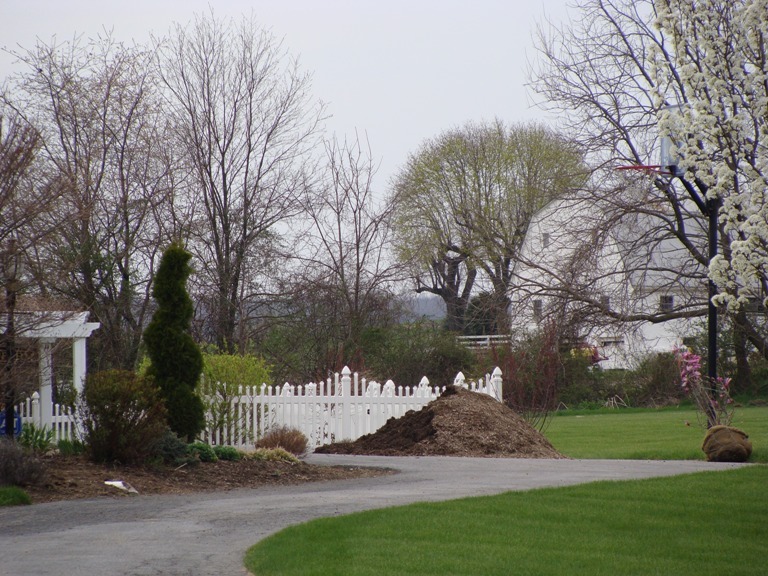 My mulch sat there all winter. Sylvan’s two boys came over on Saturday to help me put the mulch around the beds. They are 8 and 11 and between the three of us we got most of where it belonged. It took us about 3 hours before we quit and went for ice cream over at Lapps. Dairy. So on Sunday, with just a few wheel barrows left to do – I set out early in the morning to get it done before it got too hot. I use a pitchfork to get the mulch in the wheel barrow and then the pitchfork to spread it around. As I looked down to spread the next pile around I saw all this grass and fur. Furry mulch? Furry mulch that moves? Ugghh what is it? 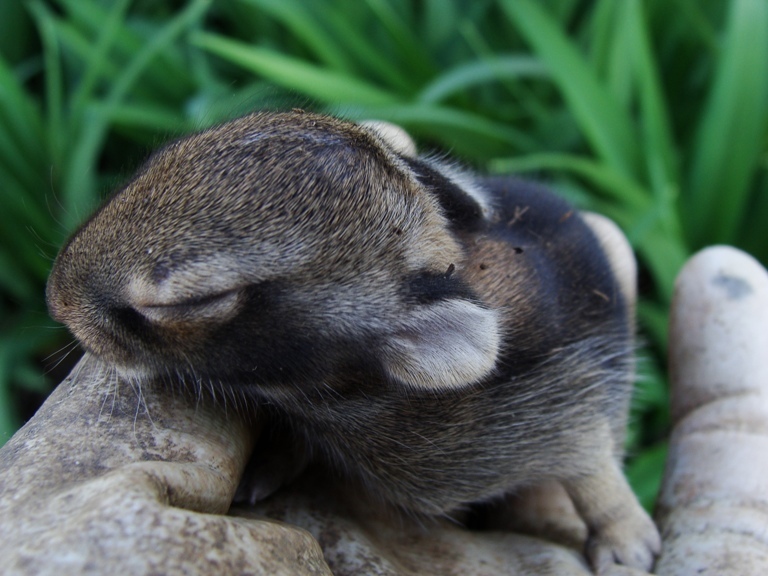 And then AHHHH- baby rabbits. 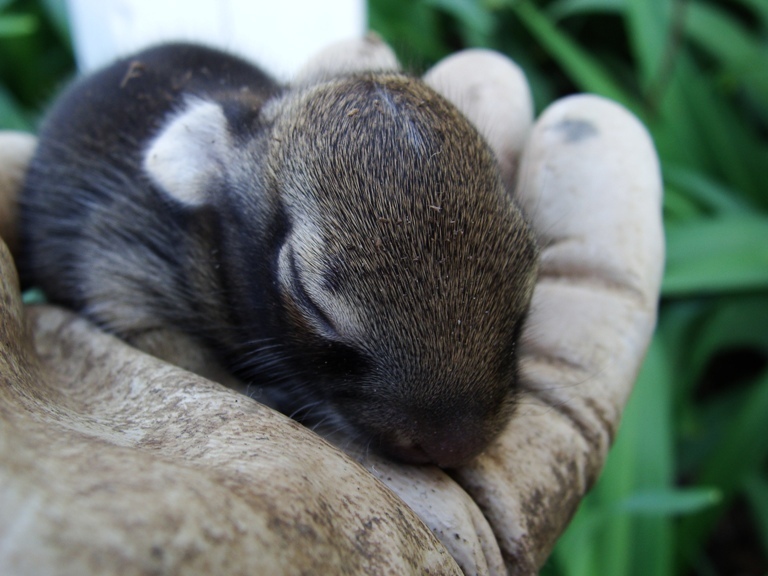 Five little tiny baby rabbits were nesting in the mulch. I am so lucky, and so are they, that I didn’t stab them with that pitchfork. 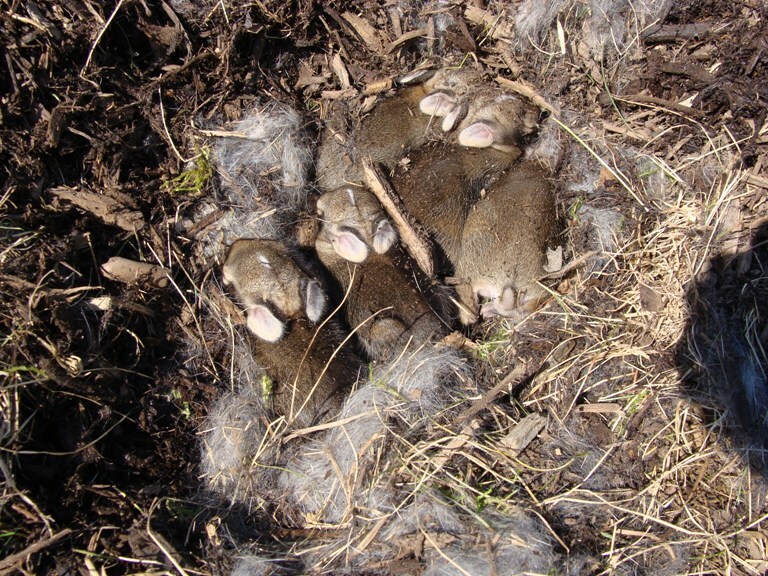 I picked up all the fur and grass nesting material and all five rabbits and tried to remake their nest in the remaining mulch pile. I hope the mom comes back. I had my gloves on so hopefully she won’t smell my humanness and abandon them. I won’t know till I go back this weekend. I hope they are ok.